Architect and local resident Eddie Blake examines how mosque traditions are being shaped to fit on the high street, wedding the everyday with the universal. 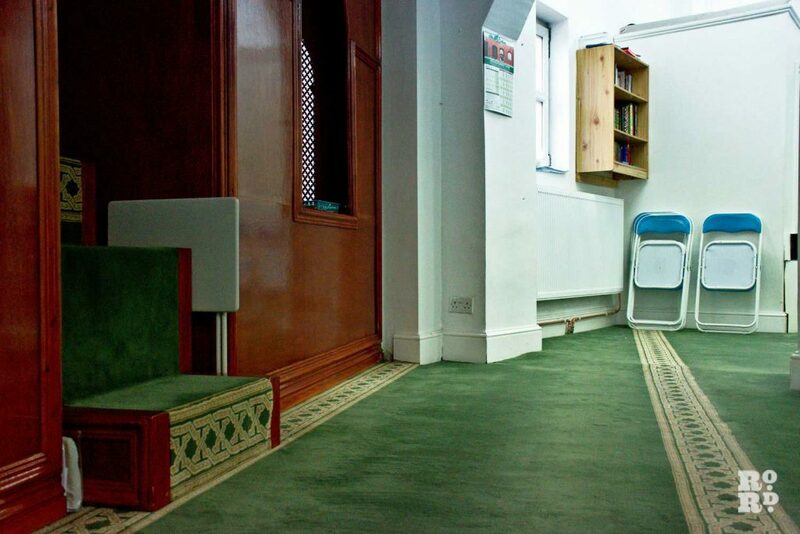 Photography of the Bow Muslim Community Centre by Massimo Iannetti. Step off the diesel-saturated high street, and after you have taken your shoes and socks off, and let your bare feet sink into the deep pile carpet, you’ll notice that the lines on the carpet sit at an acute angle to the rest of the room. They don’t align with the walls, but instead go north-south. 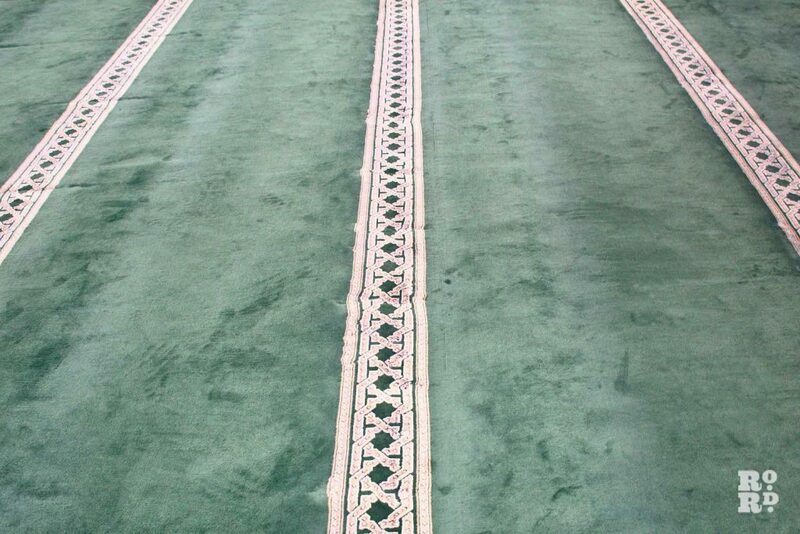 The carpet is laid so you always know which way Mecca is, allowing the congregation that meets in this space, in this place of prostration, to face the holy city. 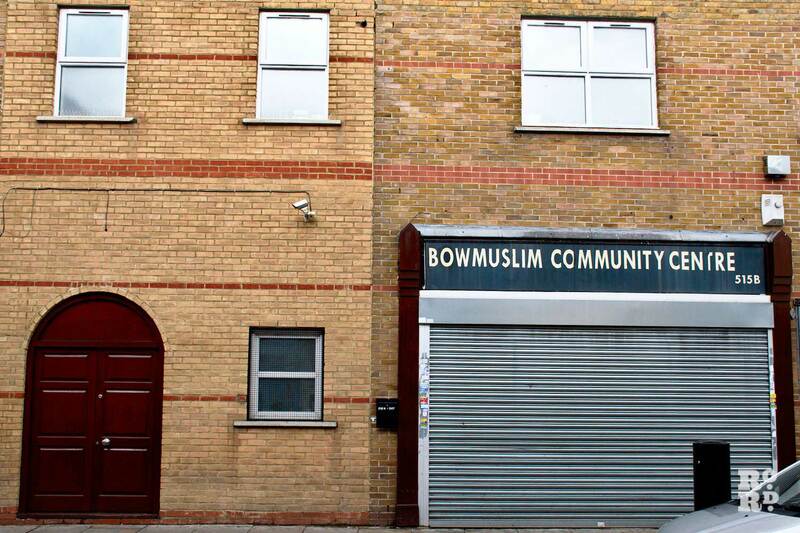 Shopfront mosques are a relatively new phenomenon in the UK, developing in cities over the past few decades, especially in London’s East End. 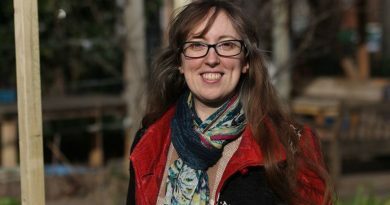 They exist due to a particular combination of economic and social drivers: a mix of the struggling high street, the requirements of Muslim congregations and the state of the UK land economy. These mosques are powerful and un-self-conscious architectural expressions. Their construction and detail are direct, while dealing with the most esoteric and abstract of functions: communing with God. Construction itself – the way stuff is put together, how glazing meets frame, insulation, structure – is not just a practical, inevitable means of making a building, it is an expression of unuttered cultural beliefs. Organisation of tiling, fenestration and so on is more than simply the arrangement of components: it encodes a belief system into the fabric of architecture. So it’s not only the symbolic content of the elements of the mosque that holds religious significance, but the way the elements are compiled. The components of the shopfront mosque are put together with an economy that shows how important architectural symbolism is. They are assembled with so little conceit that the underlying expression comes to the surface. This dignified ad hoc architecture is a profound expression of the urgency of belief. Not that the designers necessarily see it that way. 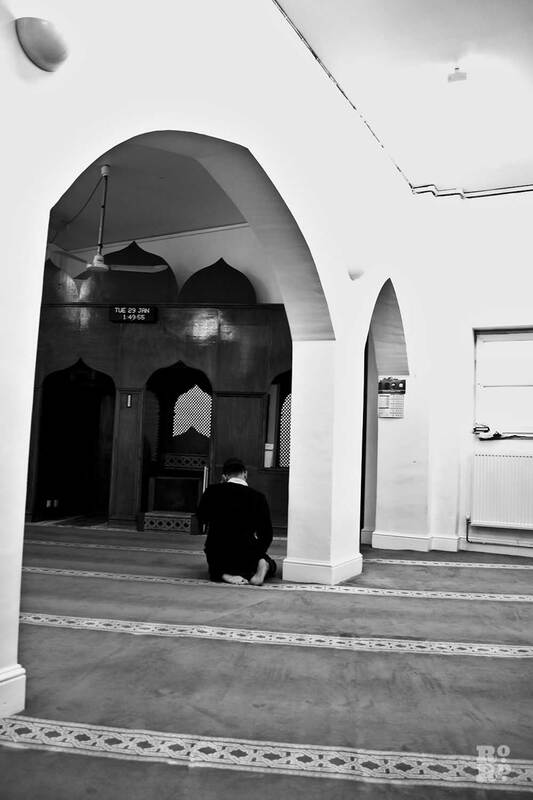 The mosques’ urge to move as soon as possible to purpose-built, more classically designed premises suggests that the shopfront mosque is far from being a pose. ‘God is in the detail’ could be something more like ‘morality is in the detail.’ The detail determines how and where the function of architecture is articulated and formed – and it expresses morality by defining culturally acceptable standards of building. But just how little detail is required to wholly change the cultural meaning of a building? There is a profound moral attitude expressed in the economy of detail of the shopfront mosque. In the messy reality of an urgent culture, the detail is reduced to its most efficient form. It is in the ad hoc architecture of the shopfront that form most directly follows function; it’s just that that function is the unimaginable task of talking to God. In the case of the mosque, the crashing together of the total abstraction of divinity with the blunt reality of a Belfast sink is not the juxtaposition it would first appear. It is an expression of how one might feel about God, actually being present in a daily way, closer to you than your own jugular. Both everyday and universal, banal and exhilarating. At the Bow Muslim Community Centre, the carpet is laid askew. It lies as if it was drawn by Eisenman or Libeskind at a jarring oblique angle. But it is not the product of deconstructivist design logic; it is a device which negotiates between the inhabitant, the building, and a global structure of faith. The carpet locates the individual in the world, so that when you stand on it you know instantly if you are facing in the direction of travel as you spin around the polar axis. 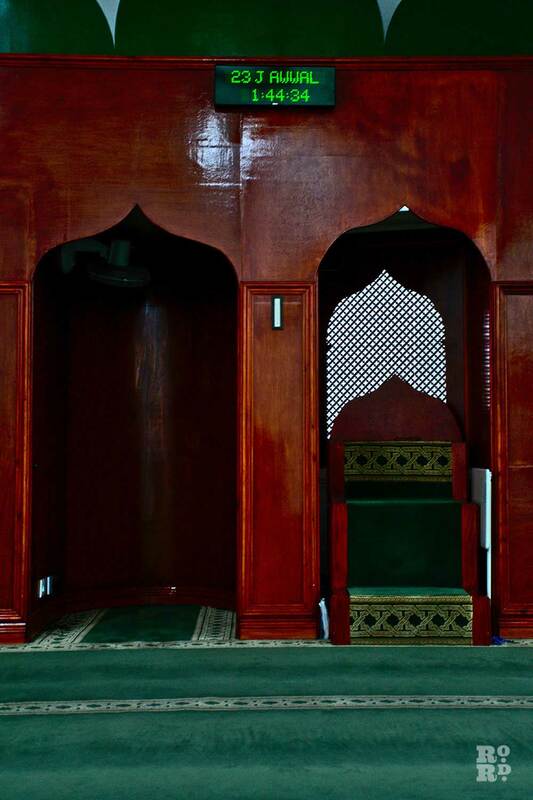 In the shopfront mosque, ablutions take place on simple stainless-steel stools with off-the-peg Belfast sinks, somehow preparing you for an encounter with God. Ritualised washing spaces for moral hygiene, manufactured by Armitage Shanks. The sink is elevated by context and from an everyday object it becomes a transcendental tool. Timing is everything. 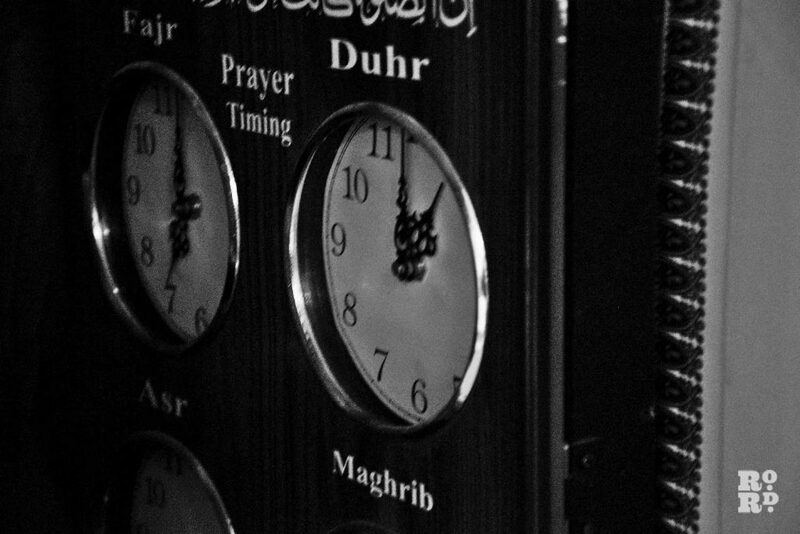 In order to time prayers exactly the mosques are adorned with digital clocks. The clocks are a kind of functioning decoration, practically connecting the congregation to the outside world, while also becoming decorative identifiers. 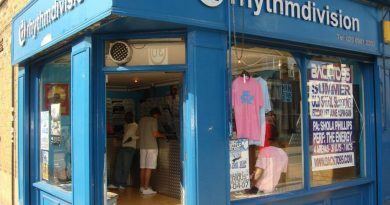 The shopfront is incomplete without signage. 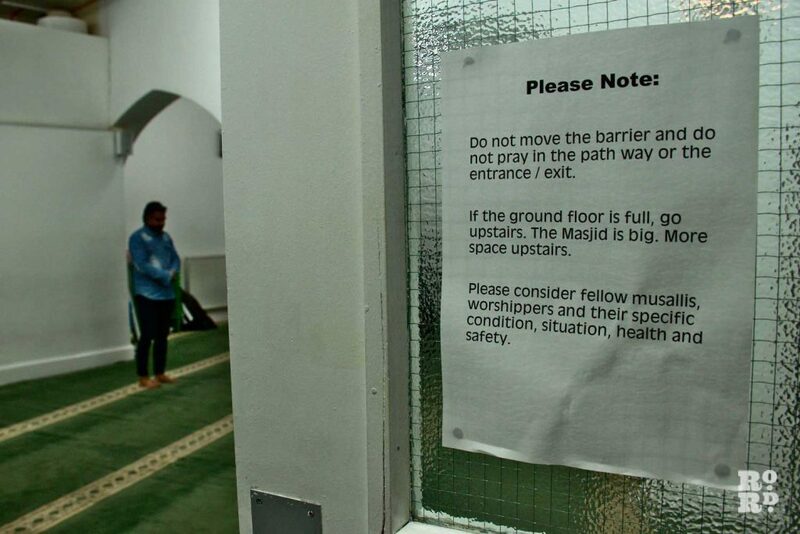 At the Shoreditch Mosque, the Masjid sign has an uncanny similarity to those of London’s chicken shops. It makes sense though, when you think of religion as everyday, and as essential as food. The architectural elements sidestep that slippery contemporary conundrum of authenticity. By having no authentic materiality, they provide a truly authentic, living, breathing architectural voice. This is an architecture created or done for a particular purpose as necessary, and which therefore has no spare fat. It is architecture made without architects. Four decades after the publication of Jencks and Silver’s manifesto for improvisation, Adhocism, the attitude is still very much part of contemporary architecture and design. But while other corners of the architectural world consciously co-opt the language of the ad hoc, these mosques do the reverse. They un-self-consciously, reticently even, use ad hoc design because there are different priorities at play. 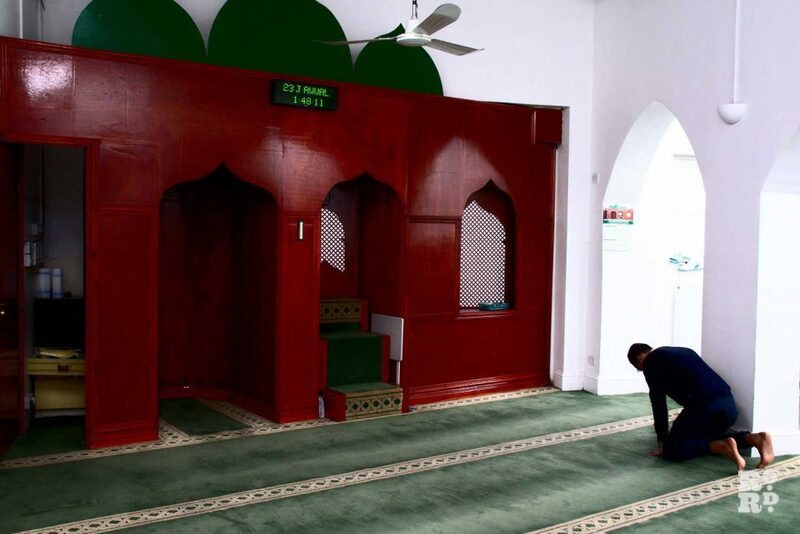 London shopfront mosques are a new tradition. For perhaps four decades a fresh stream has flowed from the deep lineage of mosque design. They keep vestigial memories of traditional Islamic architecture. Classical mosques have common discernible elements, some prescribed in scripture, some developed through custom, which mean the mosque is instantly recognisable as a typology: the dome, the minaret, the mehrab. In the case of the shopfront mosques, these signifiers are distilled. The ogee arch is re-enacted as a faux lead light stained glass window. An imperial period dome appears as an image on what could easily be mistaken for a grocer’s sign at the Poplar and Bow mosques. The design of the shopfront mosque distils a history of religious building into pure symbol. If religious buildings represent prayers in stone, then these prayers must be so intimate, a direct line to God. The anti-architecture decoration of the mosque is not just a backdrop but also a vehicle or even a means to an end. Perhaps this is a better way to understand the stark contrast between the first order and the second order signification of the building – the first order (shopfront) is irrelevant to how well the vehicle works, while the second order of decoration is what makes the vehicle function. Shopfront mosques are buildings that suggest that architecture is the problem not the solution. 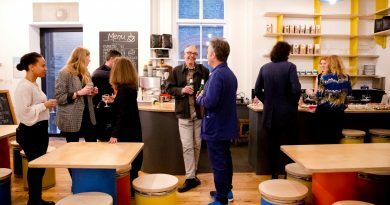 The need for architecture has to be dealt with through other means like furniture or graphics. How do you solve a problem like architecture? You flatten it, and apply it to the surface. 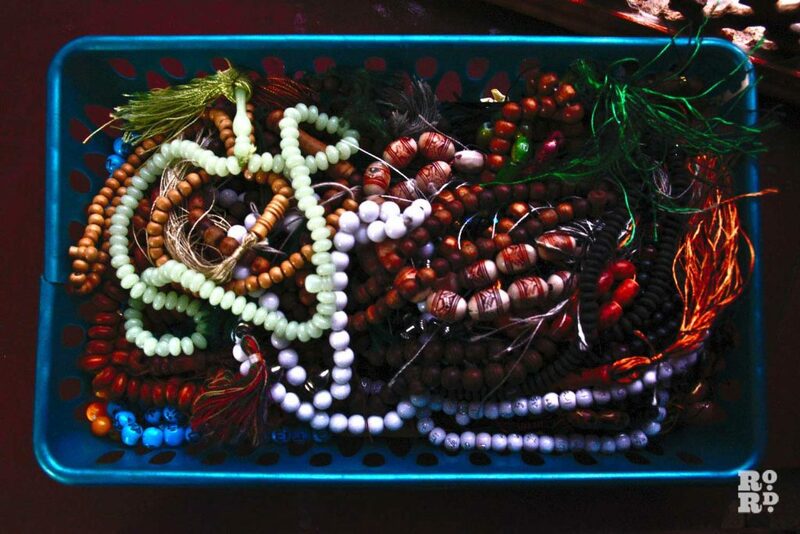 Shopfront mosques have a tangible vitality. Right now, we are probably at a high watermark in terms of their ubiquity and design originality. 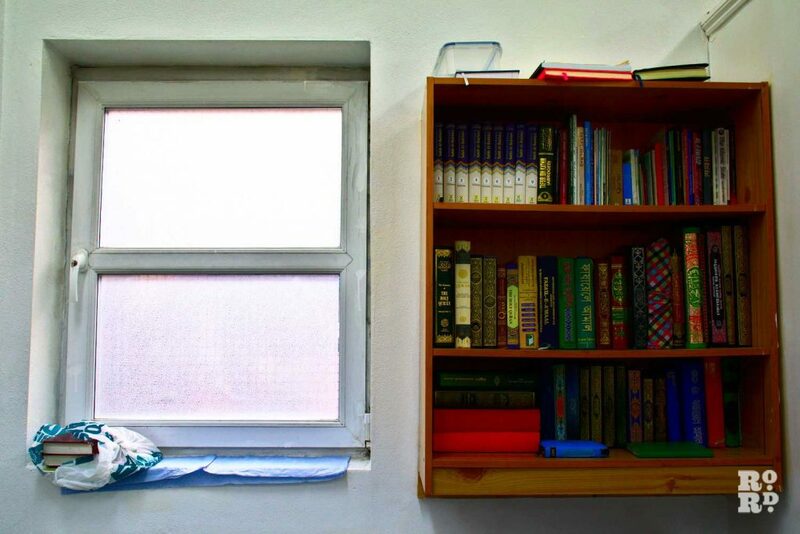 As the socio-economic status of the London Muslim population shifts, there will be fewer ad hoc adaptations, more purpose-built places of worship. Less architecture without architects, more overblown architectural statements. 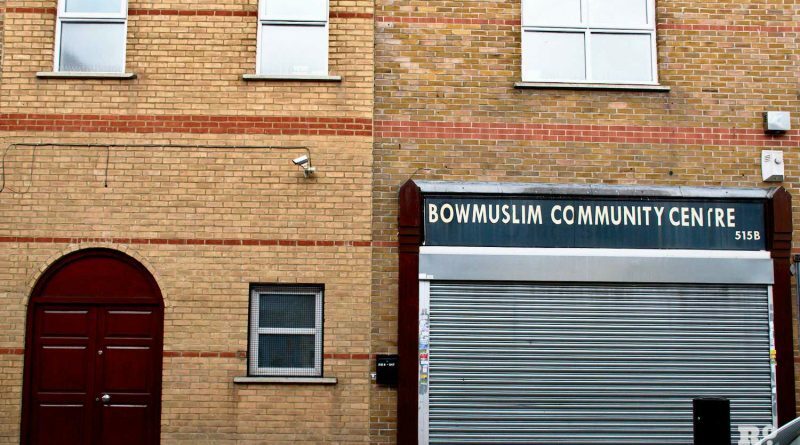 Many mosques in the East End that started in a front room or shopfront have expanded, either through extension like the Bow Muslim Community Centre, or by spilling into a whole new building. So recording these places through photographs is an attempt to capture a fleeting architectural moment. London feels as though it is currently changing faster than it ever has before: straining, swelling, in many ways getting tighter. For people who can remember a time before the 1990s this is unsettling. Shopfront mosques are both part of this development and a riposte. 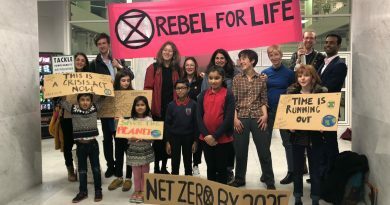 They sit in a different category to most of the other manifestations of London’s growth – they do not represent international finance or deregulated housing. 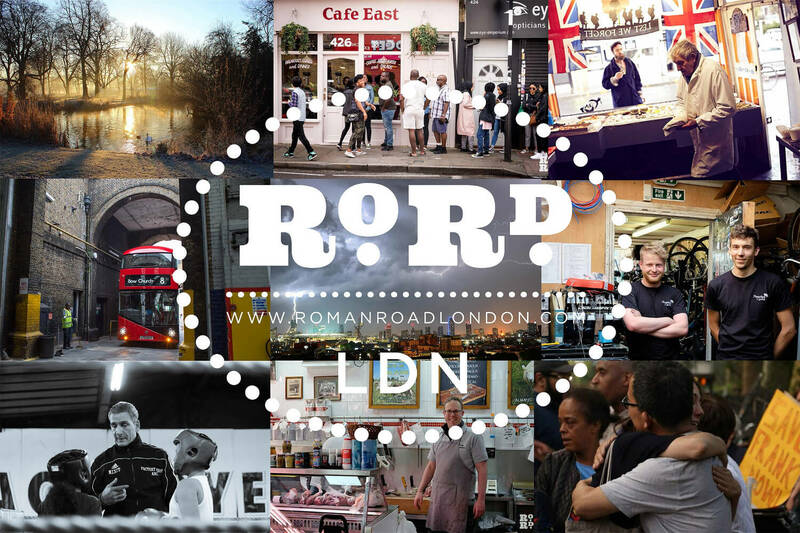 They carve out a little space for community, and a genuine new London vernacular. Eddie Blake is an architect. He currently practices at Sam Jacob Studio, and teaches architecture at the Bartlett, UCL.